Having started his performing career as a roadie for his singing and dancing sister, Yaguda recalls being taken from Brooklyn to New York City, many times a week in the back of his mother’s car. And though it sometimes meant missing out on his first love - the Brooklyn Dodgers (who he calls “my first rock stars”) – Yaguda eventually fell for music. Inspired by such stars as Bobby Darin, the Everly Brothers, and Elvis, Yaguda eventually got a guitar and started writing songs. Three of the four original band members were Jewish. Though he admits that his family was “dead set against” his becoming a professional musician (hoping instead for a doctor in the house), Yaguda recalls that, as soon as he had recorded a hit tune, their tune changed as well. Despite occasional lineup changes, the band has always had a “Jay.” Even so, the original name that was bestowed upon them by the legendary songwriting and producing team of Jerry Leiber and Mike Stoller did not use any of the bandmembers’ names. 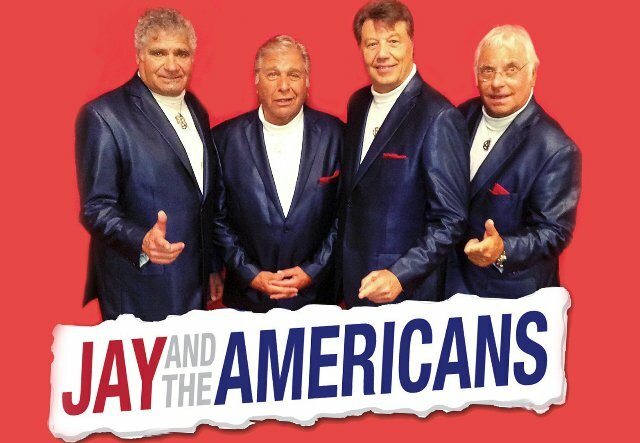 With a string of hits and lots of great stories behind them, a Jay and the Americans show is a great night out for music fans of all ages.